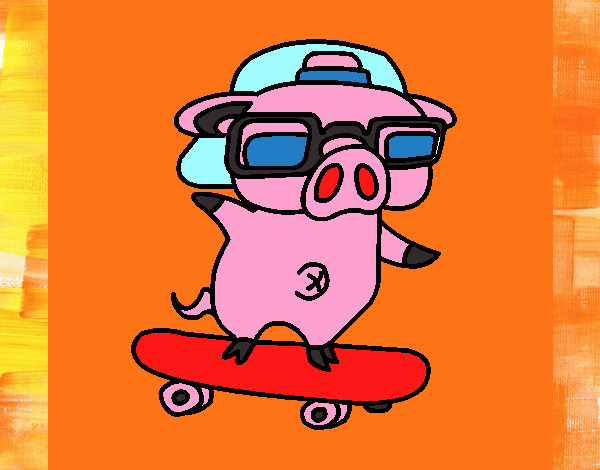 Enjoy this Graffiti the pig on a skateboard page colored by User not registered. If you like it, don't hesitate! Vote and comment it! Colored page Graffiti the pig on a skateboard colored by User not registered of the category Coloring Crew Colored page Graffiti the pig on a skateboard painted by User not registered ©2019 - HispaNetwork Publicidad y Servicios, S.L.